As we progress through the major archana, the alien evolves. By the time we reach the Emperor, we have also reached stage two of the alien’s evolution. 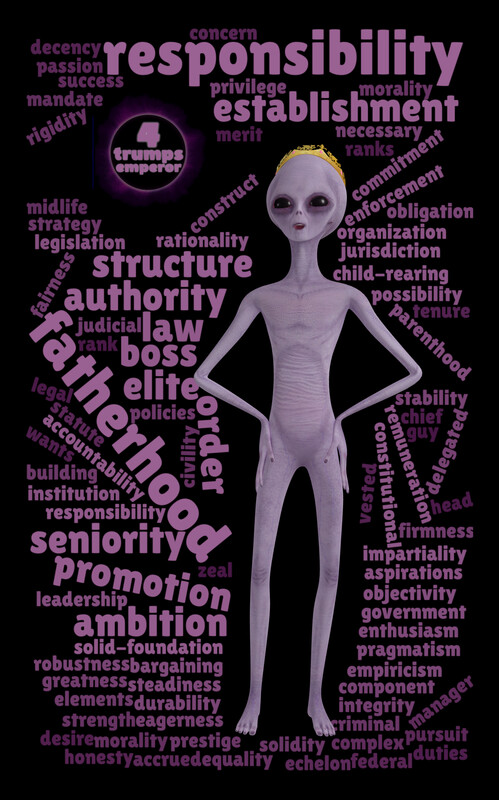 The emperor represents authority and responsibility and law and lots of other actual words rather than arcane pictures.